Uncontrollable food cravings are one of the main reasons Australians fall of the diet bandwagon new CSIRO research has found. In conducting Australia’s largest-ever diet and personality survey, the CSIRO has discovered Australia’s biggest diet downfalls and what type of “diet personalities” Australians typically fall into. According to the CSIRO, there is five different diet personality types in Australia. The Thinker (37 per cent of the population) – The most common diet type. Thinkers tend to over-analyse their progress and have unrealistic expectations. This can result in a sense of failure and derail a diet. The Craver (26 per cent) – One in four respondents is a Craver and finds it hard to resist temptation. More than half of all Cravers (58 per cent) are obese. The Socialiser (17 per cent) – Food and alcohol play a big role in the Socialiser’s active social life, so flexibility is key to maintaining a healthy diet. The Foodie (16 per cent) – Foodies are most likely to be a normal weight. Passionate about food, this type has the healthier diet with a high variety of vegetables in their diet. Alcohol makes up one-third of their discretionary food and beverage intake. The Freewheeler (4 per cent) – Spontaneous and impulsive eaters, Freewheelers have the poorest quality diet. With a higher proportion of men in this group, Freewheelers avoid planning meals and over half (55 per cent) are obese. 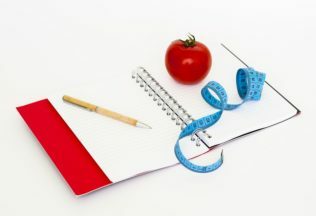 CSIRO Behavioural Scientist, Dr Sinead Golley, said knowing one’s diet personality could provide an explanation as to why past weight loss attempts have failed. “One in five Cravers have tried to lose weight more than 25 times and they say that chocolate and confectionery are the biggest problem foods to resist,” Dr Golley said. “Baby boomers and the older, silent generation (aged 71 years and over) were more likely to be Socialisers and Foodies – suggesting lifestyle and social connections influence a person’s eating patterns at different stages of life – while millennials and Gen X were more likely to be Cravers, Thinkers and Freewheelers,” Dr Golley said. Farm Pride Eggs is launching its first marketing campaign in eight years.